I am a diploma student at the University of Edinburgh looking for a traineeship commencing in 2019 or 2020. I am currently writing my dissertation for an LLM in Litigation and Dispute Resolution at University College London. While studying at UCL, I gave a presentation to an Amnesty International lawyer on the digitisation of the English Social Entitlement Chamber and its potential impact on access to justice. 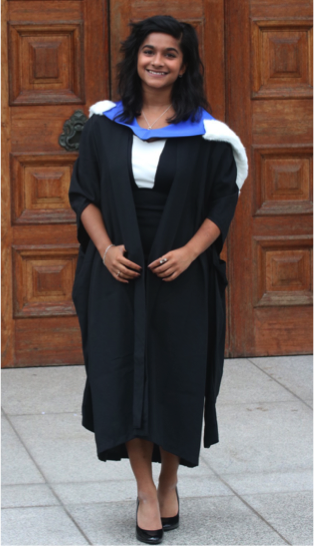 During my LLB at Edinburgh, where I attained a first, I was a member of the mooting society as well as a finalist in the Senior Mooting Competition in 2016. I was also the dux of the Mary Erskine School in 2013. I have experience in a variety of legal areas, including personal injury (Digby Brown), employment (Concordia Law), and human rights, especially asylum law (PAHRO Cape Town) and did pro bono work at South West London Law Centres in Croydon, where I helped clients with debt management. My responsibilities ranged from completing standard financial statements, conducting client meetings, and completing benefit and grant applications. My main area of interest is medical negligence, but I would be grateful for a traineeship in any field.